Man arrested after hit and run crash on I-12 in Nov.
LIVINGSTON PARISH, LA (WAFB) - A man from Kentwood has been arrested in connection with a hit and run wreck on I-12 back in early November. 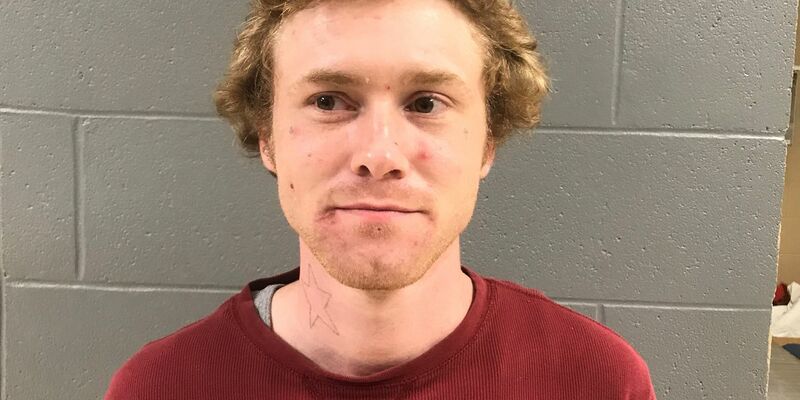 On Sunday, Jan. 13, troopers with Louisiana State Police arrested Jacob Stewart, 26, after he reportedly caused a wreck on I-12 on Nov. 4 and fled the scene. Stewart is also facing drug charges. LSP says the wreck happened just before 6 p.m. on Nov. 4 on I-12 W near Satsuma Road. When troopers arrived on scene of the two-vehicle wreck, a driver said she was rear-ended by another vehicle and that the driver who hit her handed her his ID, then fled the scene on foot, leaving his vehicle on the shoulder of the highway. Troopers were able to identify Stewart through his ID. During a search of Stewart’s vehicle, troopers reportedly found a syringe filled with suspected drugs. After testing the contents of the syringe at the Louisiana State Police Crime Lab, it was determined Stewart was in possession of methamphetamine. A warrant was then issued for Stewart’s arrest. On Jan. 13, troopers found Stewart at a home in Baton Rouge, where he was arrested. Stewart is charged with hit and run, careless operation, no license, no insurance, no seat belt, possession of drug paraphernalia, and possession of schedule II narcotics (meth).